Nurses from all over the world collaborated on the first-ever virtual hackathon to be held in the NHS. 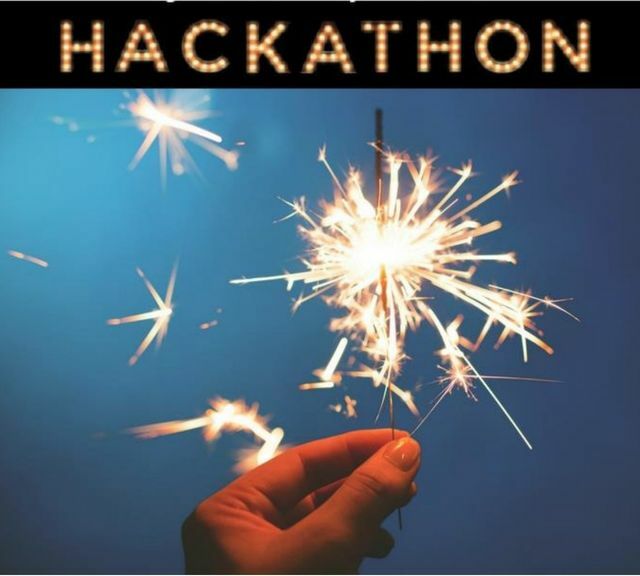 A hackathon is where people come together for a short period of time to collaborate on a practical project, build something to test and create breakthrough thinking. It’s virtual, meaning the teams taking part weren’t in the same physical place as the other teams. Each team stayed in their own local area and communicated with the other teams using a range of digital technologies. 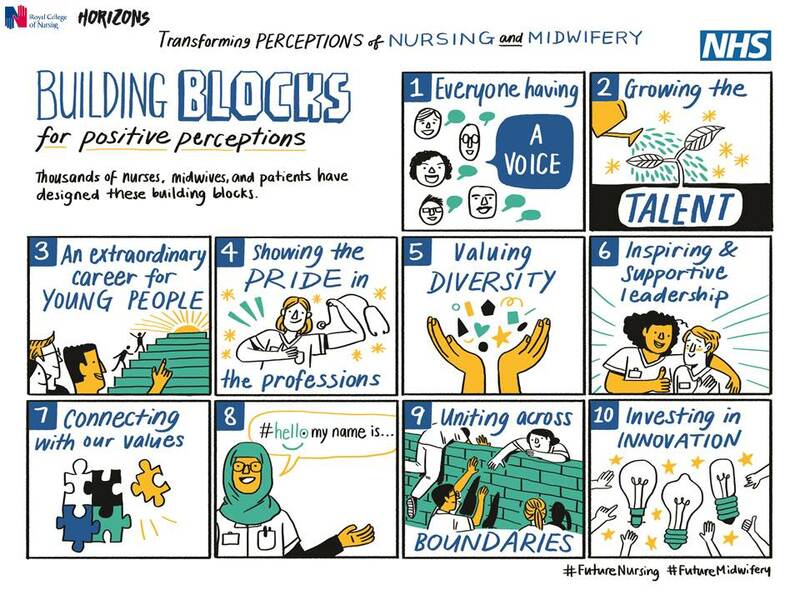 The virtual hackathon was part of the Transforming Perceptions of Nursing and Midwifery campaign with a view to increase the recruitment and retention of staff. We need achievable solutions, quickly – and involving those in the professions themselves. The timing of the virtual hackathon was chosen to coincide with the annual Royal College of Nursing Congress, our programme partner. How do we ensure nursing and midwifery expertise is at the heart of shaping future healthcare policy? How do we get the media to reflect and promote nursing and midwifery as desirable professions? 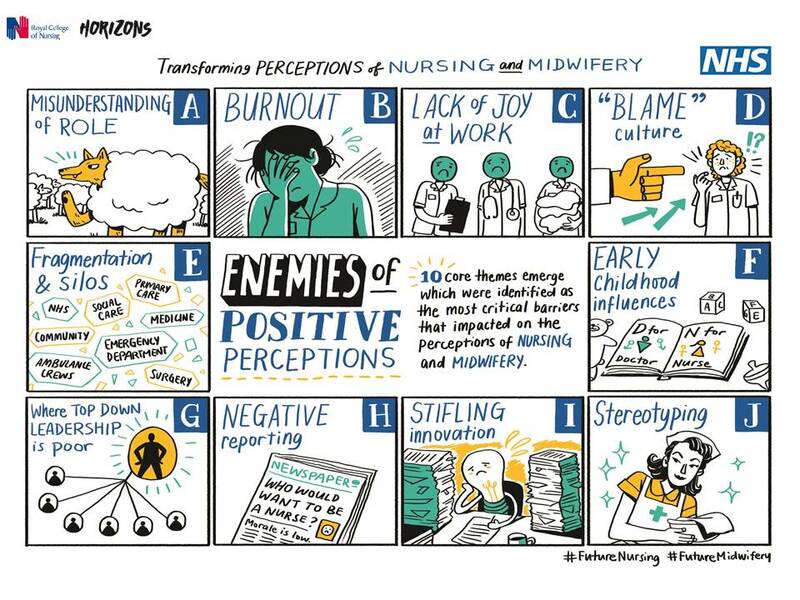 What systems and/or networks could we build to improve the way nurses and midwives connect, communicate, share and learn from each other? The standard of all the entries was incredibly high, with passion, energy, and enthusiasm clearly evident. To create a two-minute film of such calibre in just a few hours – while juggling clinical duties, as well as facing the inevitable technological challenges – is an incredible feat, an achievement of which all teams should be very proud. As well as people from the UK, individuals from Scotland, Mexico, New Zealand, Sweden, and India also joined in the event – such is the beauty of a virtual hackathon! We had nearly 60 teams with over 600 nurses and colleagues joining in the hackathon. Of the 19 final pitches, five were selected to present to our judging panel. The five teams presented using a digital platform called Zoom, explaining how they came up with their idea, why it matters, how it will connect with other work, and how they will influence people to be involved with their campaigns. They also faced some challenging questioning from our judges. Our judges chose Expectation vs Reality from Lincolnshire Partnership NHS Foundation Trust as the winner. The campaign asks what do you think we do versus what do we actually do? The campaign will feature 52 individuals, one a week over the course of a year, to demonstrate what learning disabilities and mental health nurses do – as well as who they are and why they came in to these fields of nursing as part of #52Faces. This organisation provides specialist health services for people with learning disabilities and mental health problems: they explained that learning disabilities and mental health nursing often has a negative image in the media, which can prevent people accessing their services. Their campaign will also showcase the fantastic work they do supporting their service users. The people’s choice award, as selected by those present at the Congress Mona Grey lecture chose the social media nursing emojis campaign by the Florence Nightingale Foundation. Take a look at your phone – there are emojis depicting lots of different professions – but none for nurses. Social media is a leading medium for communication in our modern world, and many of us like to use emojis to illustrate our points. You can watch all the entries here. All of us recognise the vital role that the nursing and midwifery professions play in the day-to-day running of our health and social care services, and for providing the very best care for people at every stage of our lives. By 2020 the NHS will be treating increasing numbers of people, and caring for an ageing population with more complex needs. We are also facing challenges around recruiting and retaining nursing and midwifery staff, which means this campaign is critically important for the health and care service. There is no one simple solution to these challenges – addressing these issues will involve a variety of tactics, and a wide range of people. 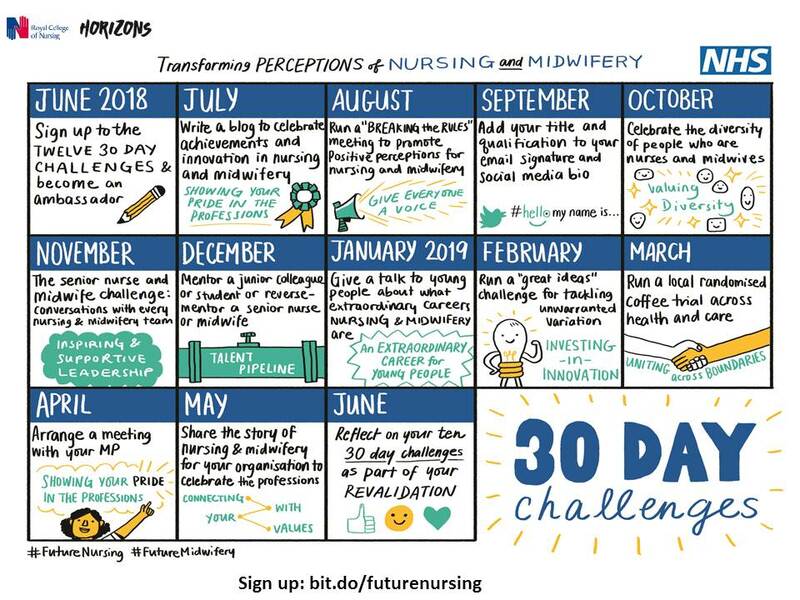 To that end, the team co-ordinating the Transforming Perceptions of Nursing and Midwifery programme will be looking at all of the entries to learn from how the individual teams continue with developing and implementing their ideas, and to see how the excellent ideas can be used. The virtual hackathon is just part of the overall campaign. We would like to once again thank everyone involved – all the teams, the judges, and those behind the scenes helping the technology to run as smoothly as possible – for their extraordinary achievements over a short space of time. Moving forward, you can get involved by signing up to our 12 monthly challenges. The challenges are designed to create collective energy nationally within the professions, while being flexible enough to be interpreted in a way that is relevant to individuals’ and organisations’ own challenges. If you are a nurse or midwife, you can also get involved in the campaign by becoming an ambassador. #FutureNursing About to kick off to watch the 5 shortlisted films submitted during #RCN18 Team #FloScholars shortlisted! Wey hey! My team mates are @ClareCable & @Anniecoops A dynamic trio!